How is it that some homes overflow with lovely feelings of contentment while others are just “meh”? Often it is the result of an elusive quality known as harmony. Harmony is one of the most essential principles of design, but it often defies description. To achieve harmony, a delicate balance is needed between all of the other elements and principles of design. While we were gushing over Gussie at the latest photo shoot, we couldn’t help but notice the natural sense of harmony that flows throughout this home. As the fluffiest member of the family, she too fits right in with the welcoming composition. While we work closely with clients on architecture and material selections, the credit for achieving the complete sense of harmony goes to our brilliant homeowners! But . . . we are happy to tell you how it’s done. Harmony is a complex formula that we can start to understand by looking at the basic elements of design. Individual factors like color, line, and proportion, can be described as either creating unity through sameness, or adding variety through contrast. Well balanced elements bring the most pleasing sense of order and relevance to the exterior and interior design of a home. When every part of a home has a general sense of order and belonging it is referred to as unity. In this home it starts with the consistent use of unsaturated light and airy colors to create a palette that is visually soothing. Maintaining a consistent character will further the sense of harmony in home design. As a lakeside retreat, this home uses references to the nautical theme as well as natural materials to be beautifully in sync with the lake front setting. Playful details, like the porthole pantry window, lighting and hardware, join the guest bunk-room concept to lend a refreshing vacation atmosphere to this home. A subtle contrast in material selection plays an important role in alleviating monotony. This allows the eye to pause on areas of interest, without a jarring transition. Here the light ash flooring and weathered wood furnishings play well against the matt wall surface. While the color palette and character remain consistent, this contrast offers a healthy balance for the overall sense of harmony of the room. Visual texture will also enhance the harmony of a home. 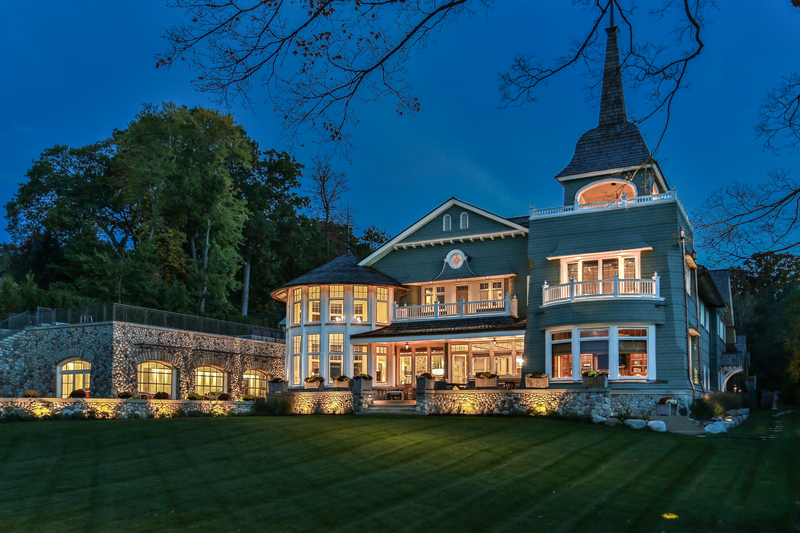 Here architectural elements add moments of importance with a light hand that is consistent with the homes lake front character. The woodworking details include shiplap paneling, cabinetry and crown molding which all serve to introduce contrast to the smooth quartz countertops, shapely glass light fixtures and hardware. Every accessory is refined and displayed in keeping with a harmonious approach. Most importantly, the exterior of this home is thoughtfully planned to be in complete harmony with its lakefront setting. 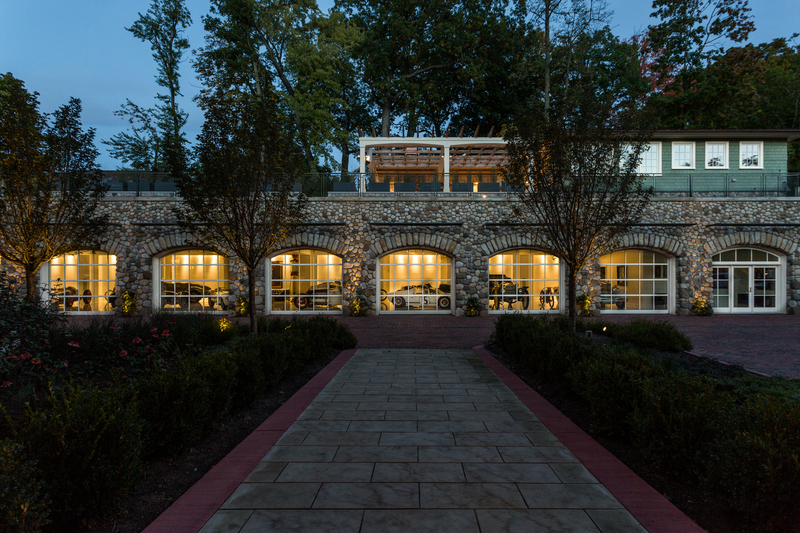 The natural stone foundation is a mix of lighter natural shades to support the refined selection of washed gray shingles and silvery white trim. And just as nature likes to surprise us with pop of color, the peaceful exterior of this home is gently accented by a lovely shade of blue to reflect the sky and nearby waters. You can see more of this delightful getaway in our last blog were we take you through the process of building, from the Tear down to Tranquility. 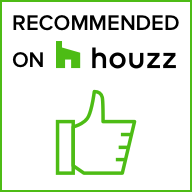 See our Houzz Portfolio for a complete tour! For a limited time the entire step-by-step process of this home’s evolution will be shown on the Lowell Custom Homes Project Gallery! 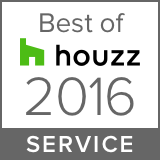 We always love hearing from you and are happy to discuss your personal home projects! Building a new home or remodeling can be an exciting adventure and our team of experts will answer all of your questions and guide you every step of the way! 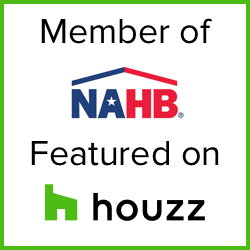 New Home Builder and Home Remodeler categories! 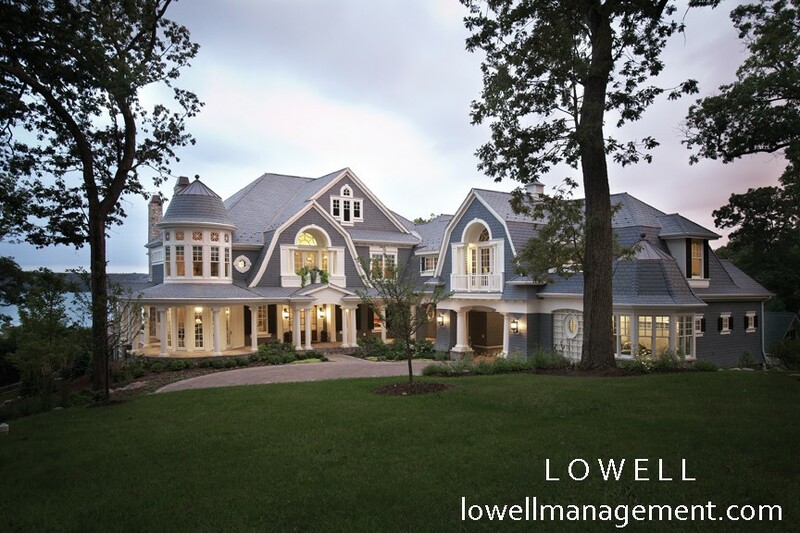 We would appreciate your vote – just click here – Vote for Lowell Custom Homes! Should You Remodel or Tear Down & Rebuild Your Home? ← Should You Remodel or Tear Down & Rebuild Your Home? Reblogged this on Concepts In Design, Inc..